Uganda is a East African country with population of 35,873,253 people. Total area of Uganda is 236,040 km2. Uganda was British colony since 1962. 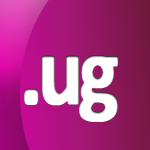 Uganda domain name is unrestricted how ever it must be justifiable. Well it means that the name must cover the content. In Uganda we have short registration time, just 3 days. Domain name can contain up to 64 characters. We can register unlimited amount of domains.